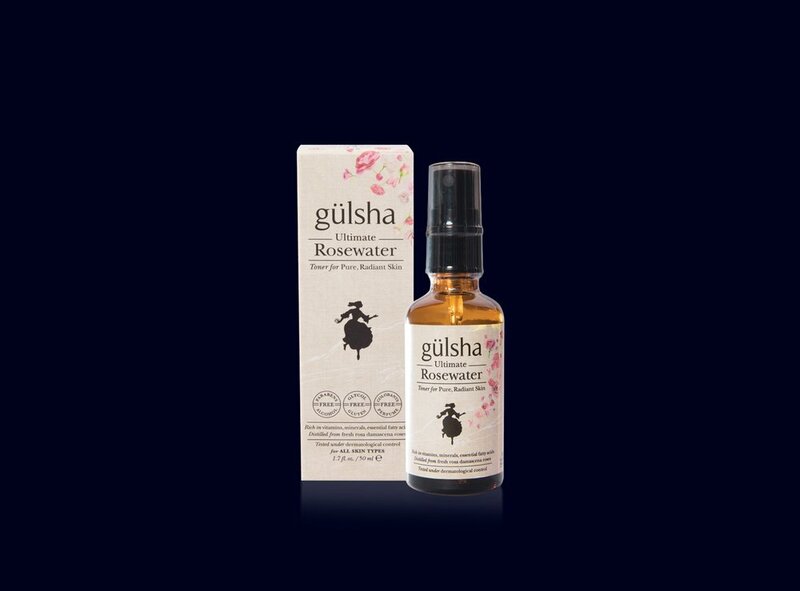 Gülsha Ultimate Rose Water is produced drop by drop by the gentle steam distillation of fresh rose petals in pure copper alembics. The story of gülsha starts with Rosa Damascena, the delicate type that is indigenous to Isparta region, in south west Turkey. Since 1965, the GÜLŞAH family has been involved with the rose, supplying world famous cosmetic brands with raw materials of rose oil, rose concrete and rose absolute. They decided to translate this deep knowledge of the rose’s unique benefits into a series of exclusive skincare products. Collaborating with the very best French skincare experts, they worked on unique formulations. 1.7oz50ml3.4oz100mlAlcohol Denat., Parfum (Fragrance), Aqua (Water), Hydroxyisohexyl 3-Cyclohexene Carboxaldehyde, Benzyl Benzoate, Hydroxycitronellal, Hexyl Cinnamal, Butyl-Phenyl Methylpropional, Benzyl Salicylate, Linalool, Citronellal, Eugenol, Limonene, Alpha-isomethyl Ionone, Everna Prunastri (Oakmoss) Extract, Geraniol, Amyl Cinnamal, Benzyl Cinnamate, Benyzl Alcohol, Citral, Isoeugenol, Farnesol, Coumarin. Massage onto face, neck and decollete, rinse with warm water. If using in the PM cleanse first with Purifying Cleansing Oil to remove make-up and then follow with the Rosehip gel cleanser. Statements contained herein have not been evaluated by the Food and Drug Administration. This product is not intended to diagnose, treat, cure or prevent disease. Always consult with your professional skin care provider and or physician.